This weekend, I’ll be off at TeslaCon V, talking books, steampunks, and hanging out with dinosaurs. I have been excited about this convention for months. My panel schedule will be light, but you can catch me at the below panels or wandering around the convention. Of course, any authors or agents interested in an appointment, feel free to contact me beforehand or on-site. So You Want to Publish Your Steampunk Novel – Publishing tips for the retrofuturist set. An exploration of the publishing process starting with looking for an agent and submitting your manuscript and continuing with an insider’s view about how the book business works. Led by Tor editor Diana Pho and others, the panel gives advice drawn from their various experiences across the industry. Plus, a frank discussion on where steampunk literature is heading, tropes to avoid, and how other steampunk media impacts your steampunk book. Panel discussion with an emphasis on how gender identity and sexuality intersect with other identity categories in steampunk culture, literature, cosplay, and creative objects. Panel discussion on Victorian fashion,gender non-conformity and steampunk. 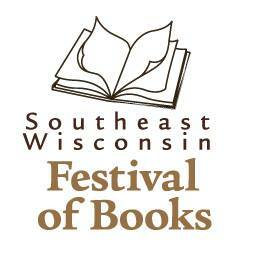 I’ll also be taking a brief stop on Friday at the Southeastern Wisconsin Festival of Books, paneling about steampunk with Lisa Hager and Austin Sirkin! You can RSVP for our talk on FB here. Victorian-era machinery and fashion, retro-futurism, and art-nouveau design: Steampunk is this, and so much more. Most likely, it’ll mostly be a Q&A session with the audience, but I usually try and at least get an audio recording of my panels. Can you post where it will be available after the Con? Certainly! I usually try to keep records all on my Video page, and will upload any audio feed as a vid too. You’re welcome! I know I always appreciate seeing stuff online, and not everyone can afford to go to cons. The least I can do is try to get my own materials out there when I can.